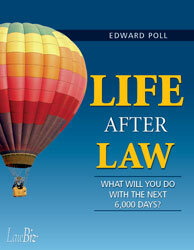 LawBiz® Store | Books | Life After Law: What Will You Do with the Next 6000 Days? Ed Poll has had the experience of starting, running, and exiting the practice of law to transition to a new life. In Life After Law, he gives lawyers critical advice on how to move into their "second season" successfully. Plus, you'll find essential counsel on how to guard your retirement nest egg and create a fulfilling post-practice life! "Five out of five stars! This book is a must-read for everyone in the law. Ed Poll shows he has the experience and wisdom to look at the entire span of lawyers' careers and to show lawyers young and old how to lay the foundations for the decisions they will need to make when they are many years into their professional lives. Throughout, Ed Poll demonstrates the understanding of and compassion for his lawyer readers that have made him a leading law practice consultant and, for some of us, a valued colleague. He anticipates and responds thoughtfully to typical concerns. He offers not just general advice but checklists and even templates for letters and press releases. 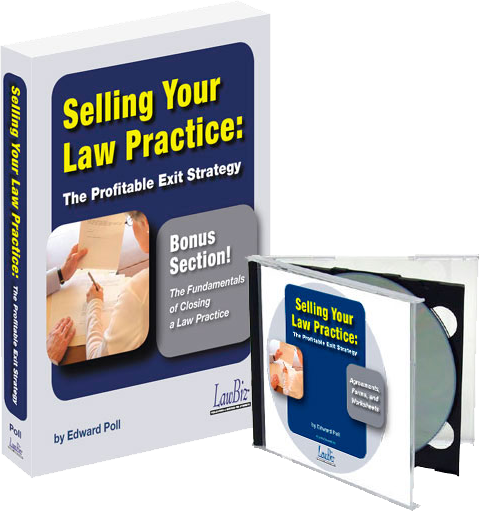 For the benefit of all of us, newcomers and experienced hands alike, Ed Poll has written a detailed, helpful, guidebook to planning for exiting the practice of law in a manner that is dignified, profitable, and ethical. He stresses ethical concerns throughout. This is also a guidebook to planning one's entire career wisely, and with the end in mind. In fact, Ed Poll can make planning so attractive that readers can hardly wait to get started." 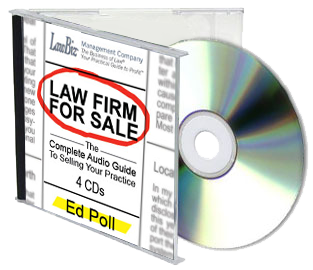 "Ed Poll is a sage voice in the realm of law practice management. His new book, Life After Law, provides an excellent framework from which to manage one's contemplation and effectuation of exit from the practice, for solos and multi-partner firm members alike. "The author's advice encompasses the practical, legal, strategic, and ethical implications of transitioning out of law practice as only the advice of an experienced practice management advisor/consultant, businessperson, and former practicing attorney can. "His book provides a comprehensive treatment of the subject, presented in a clear and coherent writing style. The pages are attractively laid out, and the text appears in sufficiently large typefont for the intended audience. It is appropriate for those, like me, who contemplate practicing for at least another decade (or two), as well as for those closer to the cusp of closure. "Ed Poll addresses some difficult questions, particularly about knowing when it is time to stop practicing – and start living – one's "Life After Law." He deals with myriad issues that surround what for many may be one of the most difficult of life's transitions, and prescribes specific "how-to" steps to take at each juncture. He also references additional reading sources for most topics. And for the final three chapters, Ed Poll turns to several contributors for their additional expertise. "Replete with helpful sidebars, headings, charts, and graphic depictions to supplement the text, the work is well-organized to convey its messages with minimal effort on the part of the reader. It includes appendices with practical information, checklists, and forms that one actually can use in planning and effectuating the transfer or other closure of one's law practice. "It's actually a great bargain: For a modest price, you receive a wealth of information that guides you through the process from early preparation through transition to post-practice life. This book will prevent you from being blindsided by many law practice transition pitfalls and issues you might not have anticipated without reading it. No similar resource exists; this volume is unique. It's a comfortable blend of both legal and human considerations. "This volume also would be an excellent source of information for lawyers seeking to purchase or otherwise assume a retiring lawyer's practice. It's usually worthwhile to know what the other side is – or should be – thinking. "I plan to pick up this book again in a couple of years and re-read it, to ensure that my thinking is on track. Bottom line: None of us knows when we might choose – or be forced – to close our law practices. Forewarned is forearmed." 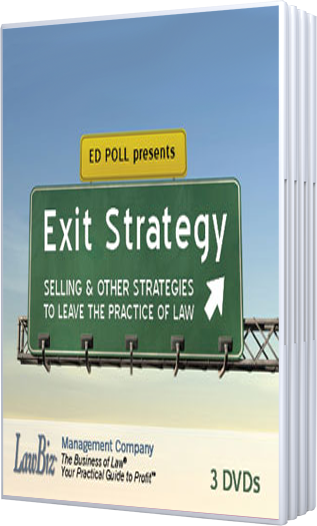 "Ed Poll's Life After Law provides cogent and thoughtful insights into strategies for transitioning to a new phase after completing a career in practicing law. It is a vital resource for anyone who is planning for retirement, with enlightening reflections on winding down the practice and preparing for the future. It should be read by all attorneys, even those not necessarily thinking of retirement, as there is valuable information on preparing for the unforeseen events that can incapacitate an attorney's ability to manage his or her practice." "Life After Law: What Will You Do With the Next 6,000 Days? Ed's book is a must read for all lawyers and not just lawyers contemplating retirement. This well written and practical book will help guide lawyers of any age to really think about how to plan their career and, ultimately, their retirement. It's the type of book that should be read every few years to make sure you are on track with your career and retirement goals. The sample forms are outstanding. The book has a lot of material and digs deeply into all the necessary questions, but is still a fast and enjoyable read." - So Who Will Step In at the Needed Time? - Teaching Rainmaking to the Younger Lawyer: "Learn by Doing"
- What Color Is Your "Second Half" Parachute? - So How Much Is Enough?